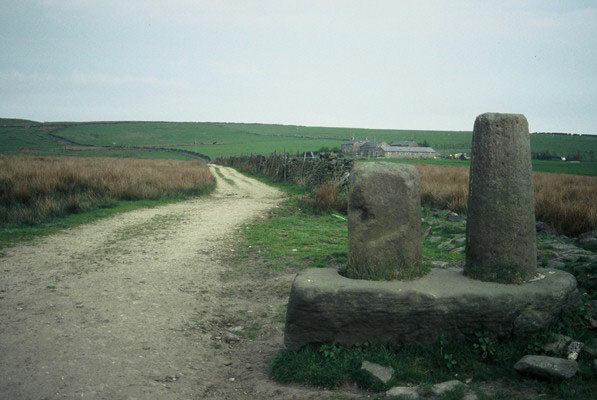 For 600 years of the 'Dark Ages' the invading Jutes, Danes and Vikings were gradually absorbed into the indiginous community and seem to have left little mark on Mellor apart from at the Anglican Church of St Thomas. 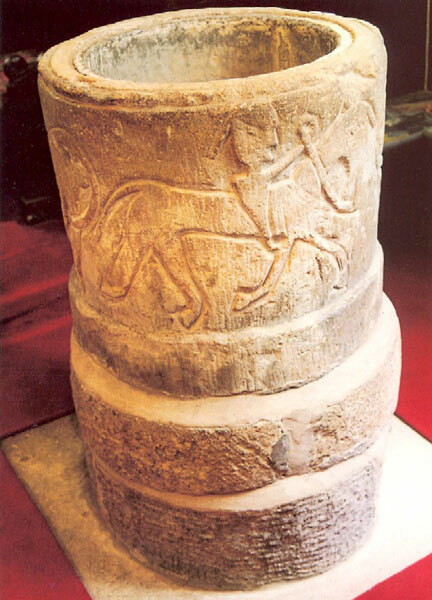 The church is the proud owner of an amazing baptismal font, which was carved from local gritstone Its origin is unknown, but the style and design of the font strongly suggests that it was made during this period. Ecclesiastical records tell us that St Chad was the first bishop of Lichfield as far back as 669 and it seems that Mellor was near the centre of his vast diocese. For further information see the Mellor Parish Church website. Another little glimpse, however, may lie in the Place name of Mellor (possibly meaning 'Bare Hill') which appears to be of pre-English origin, as is that of Werneth and Cheadle nearby and all three may have had a long history of settlement originating or continuing through this period. We can only speculate at this stage that the descendants of the Prehistoric and Romano British peoples continued to live and farm here and were perhaps joined by the waves of Norse immigrants during these centuries. We hope to find more of the archaeology as we continue the investigation at Mellor.